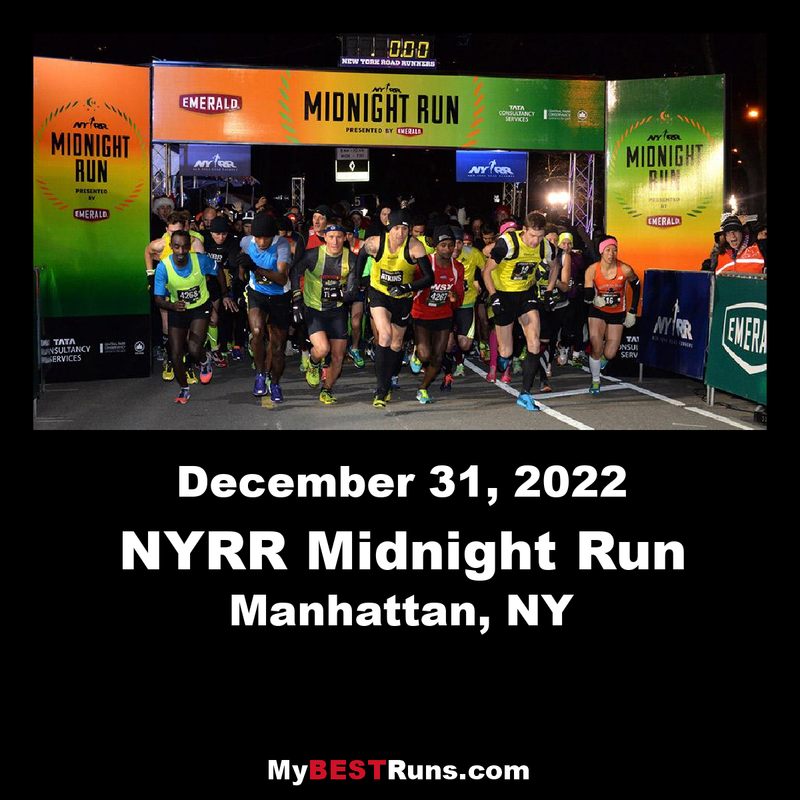 Kick off the New Year at the Midnight Run! Join the fun and celebrate with music and dancing (starting at 10:00 p.m.) as 2019 comes to a close. With a countdown to midnight beginning at 11:59 p.m., the four-mile run will begin on the stroke of midnight, as will a spectacular fireworks display to light up the night and the start of 2020. Neither rain nor wind could keep runners from starting 2019 on the move, as a crowd of more than 3,700 gathered in Central Park for the NYRR Midnight Run. 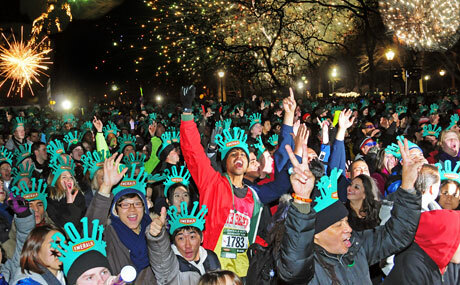 The four-miler began at the stroke of midnight, sending runners into the new year with a 15-minute fireworks display at the start and a sparkling cider toast at the halfway mark. 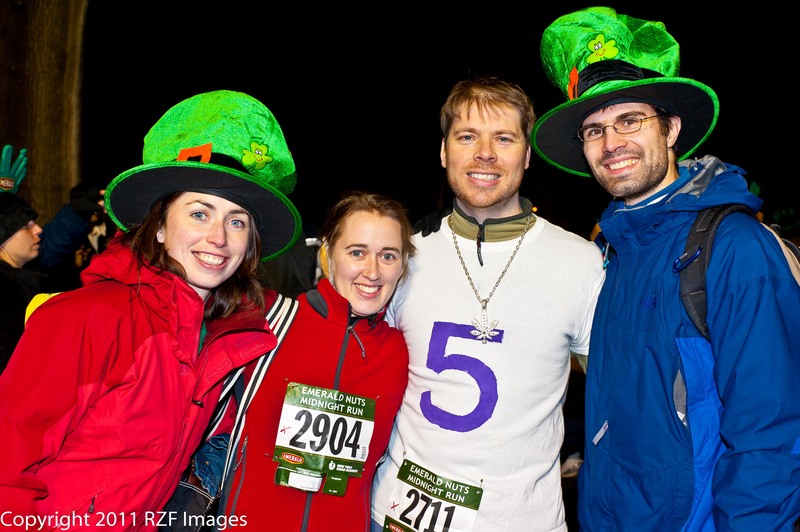 Before midnight struck, runners could get into the spirit with a pre-race party on Rumsey Playfield. With a live DJ, stilt walkers, on-stage performances, and more, runners could get into the groove for their warm-up before heading into their corrals. First to finish four miles in the new year was Luis Porto of Central Park Track Club – New Balance, completing the loop in 21:07. Breaking the tape on the women's side was Lindsay Crevoiserat of Glastonbury, CT in 23:27. 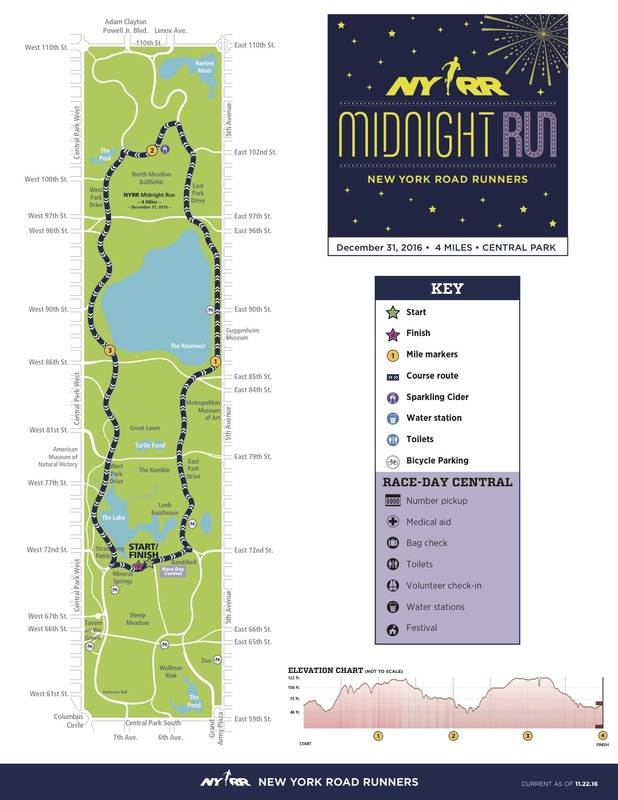 The course is the four-mile Central Park "inner loop." Check back soon for a course map. Mile 1:Start on the 72nd Street Transverse near Bethesda Terrace and head east. Turn left (north) at East Drive and run north, ascending Cat Hill. Mile 2:Continue north and and pass Engineers' Gate (East 90th Street). Turn left onto the 102nd Street Transverse. Mile 3:Turn left onto West Drive and run south through a series of three rolling hills as you pass the Reservoir on your left. Mile 4:Enjoy a downhill, then a flat section. Turn left onto the 72nd Street Transverse and finish just west of Bethesda Terrace.